Seeking information on the RAF launch Calshot Salar. Update... I am now looking for her history from 1979 onwards to date. She took part in a movie called "Catch me a spy" starring Kirk Doglas, Trevor Howard and others. 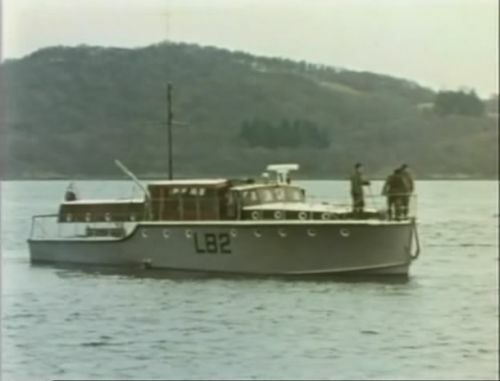 Her opponent "german" vessel was an HDML, a fairmile, called La-Lage, which was wrecked between sunken ammunition barges and Gull Point some years later. Hi, I found this forum completely by chance while trying to find information on the Calshot Salar. My dad worked on her when it was a fishing charter boat out of Rothesay. I spent the first year of my life on her as honorary crew! There are a few tales my dad told me, if you are still interested. Best wishes. Calshot Salar, ex Salar, EX RAF GSP 82. Still a houseboat at Shoreham as far as I know. A great page will all kinds of great info! I hope to add to it in the coming months if that's OK, but for now I'm looking to hopefully gleen a little more information if I may about Colshot Salar. Basically I find myself the latest custodian of HDML Etive Shearwater ML1085 and am in the early stages of her restoration. As part of this I have a Website and Facebook page etc, and am occasionally contacted by people with connections to some of these great old vessels, one such occasion has just occurred with Calshot Salar! The lady has some very fond memories of the vessel, but has only one picture of it with her aged about 1 sat in a life ring onboard, a bit of searching the Web has led me here, she only posted to wish the project well, but the least I could do is ask if anyone has any pictures of Calshot Salar as a running vessel post war or even as GSP82 I could forward to her? It would be greatly appreciated, and hopefully keep the memories and tails of the vessel alive in her family. I've seen she was in a film I will pass that on to, and will type up any history of the vessel anyone can provide for her, it will make a nice worthwhile break from researching and recording the history of ML1085, of which I have a fair bit compiled now. If you are interested in the progress of Shearwaters restoration to WW2 appearance, it can be followed at ML1085.org or on the ML1085 - MV Shearwater Facebook page and also on twitter. It would be great if anyone has any pictures or snippets of history about GSP82 though that I could put together for Sarah the Lady who has contacted me. There was a behind the scenes home-movie made of the Calshot Salar by her owner during the making of the movie catch me a spy. Sometime In the 90’s at the entrance to the US Submarine Base in the Holy Loch a VHS tape copy of that home movie was handed over to the then new owner of Calshot Salar by the Captain of the USDV Canadian Osprey, who as it transpired had been the Captain of Calshot Salar during the actual filming of the movie. If that tape remains in existence and if found it would make interesting viewing for anyone with an interest in RAF wartime launches, and especially regarding the Calshot Salar. Found online, the Calshot Salar at Loch Etive 1971. 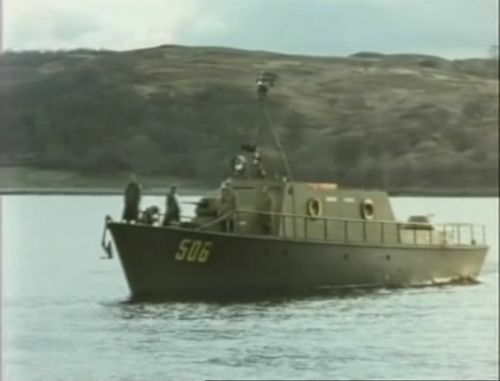 Found online, the HDML "Lalage", at Loch Etive 1971.